PR experts, I’m talking to you. You’re investing considerable time and money into PR campaigns. Were they successful? Effective? Big fail? I realize that PR measurement is painful, but without it, you’ve got diddly-squat, nada, zero. You won’t learn anything and won’t be able to improve future PR campaigns. This guide will explain how you to quantify your PR efforts. I’ll share examples, tool suggestions, and you can also have a free demo with one of our experts. Plus, there's a free eBook - Digital Marketing Strategy Guide - maximize the impact of your brand and increase the productivity of your team. Download Free eBook: Digital Marketing Strategy Guide! Your business - big or small - relies on its reputation. To survive. To succeed. Everyone that comes into contact with your business - consumers, employees, suppliers, investors, partners - has an opinion. The way they feel about your business will influence their behavior. Whether they want to purchase from you, whether they want to work with you, whether they want to invest. How much do you value your brand’s reputation? Your brand has a reputation - good or bad - and it relies on it. It’s your most valuable asset and has to be protected and nurtured. That’s where measuring comes in. If you don’t report the outcome of your PR campaigns, how will you know what’s working and what to improve? But do you know what and how to measure, and what to do with the results? Okay, don't laugh, but you need to start at the end. Find what success looks like, so you know what you're aiming for. Philosopher, Francis Bacon, said, “knowledge is power”. In this instance, measurement is knowledge. You’ll be able to evaluate your performance - last year, last week, yesterday, today. You can monitor your competitors. You can plan your future marketing strategy - budget planning, KPIs, goals. Is measuring PR effectively, complicated? Does guesswork bring accurate PR measurement - it’s opinion based, after all? Is it absolutely necessary to track the success or failure of my PR campaigns? AVEs are dead, long live PR measurement. You may not have heard of them, but in the past, the businesses that bothered, evaluated their PR efforts using AVEs - Advertising Value Equivalents. The first known sighting of AVEs was in the 1940s and seriously, they’ve not changed since then. Print ads were simple to measure - size of ad and the reach of the medium where it was placed. Find the scale of the reach and multiply it by the cost of the advert placement. AVEs ‘allegedly’ demonstrate the financial value of PR efforts, but they’re comparing apples with oranges, i.e., a news story is not an ad. They’re different, and should be measured accordingly. Richard Bagnall - Chairman of AMEC - shares 22 reasons to Say No to AVEs. Take a look. I think you’ll see where he’s coming from. You can read up on AVEs in Dan’s blog. There’re more details as to how they work, or not. Thankfully, the majority of the PR industry realized it was lagging behind, and ditched AVEs for a more strategic measurement process. “Public Relations is about reputation - the result of what you do, what you say and what others say about you. 2010 saw a team of PR experts meeting in Barcelona to discuss PR measurement and the dissolution of AVEs. What came out of this meeting was the Barcelona Principles - now considered to be a universal standard of measurement. They recognize the need for outcome - rather than output - based PR measurement. They also readily accept social media as a means of communication. There are seven general guidelines that you should implement. Take a look at the original 2010 version, and the 2015 update. Check here for more information about The Barcelona Principles. The process is simple. Start with goals. Check results according to whether goals were scored. When PR goals equate with business results, determining the success and value of your PR efforts is easier. You’ll identify what’s working and what isn’t, so you can improve your marketing strategy, and identify what’s bringing ROI. At the last count, the US public relations industry brings in an estimated annual revenue of $11 billion a year. It’s therefore no surprise that top management are demanding proof of ROI and impact. Proof that they’re not throwing money down the drain. Alarmingly, 82% of marketers claim to have no way to evaluate the ROI of their PR campaigns. Does this mean measuring PR is impossible? No way! The ROI is there, you just have to find it. Never underestimate the benefits of measuring your PR campaigns. The insights that are found will aid decision making and future planning. PR measurement, PR evaluation, PR analysis - call it what you will - is simply checking to see if you’ve met your predetermined objectives, and your goals. Barcelona Principle #1 - Goal setting and measurement are fundamental in communication and public relations. It’s the first step in planning your marketing strategy. Defining your strategic objectives. Being SMART. Specific - real numbers with real deadlines: who, what, where, why? Measurable - how will you track and evaluate your achievements? Achievable - work toward a goal that’s challenging, but possible. Relevant - do you have the resources to make it happen? Timed - when will you achieve your objective? If you’d like more details about establishing your goals and objectives, take a look at The Definitive Digital Marketing Guide to Getting Results. It’s a free eBook, that demonstrates how to plan, execute, measure, and analyze your digital marketing campaigns. Once you’ve established your objectives, your measurements should be based on them. Then you can develop strategies that take consumers through the communications funnel. Take this and the Barcelona Principles and you can accurately track your PR efforts. First, you need to understand the difference between the measures - output, outtake, and outcome. Outputs measure what your business does. How many posts you publish per week, events attended, conferences you’ve presented at, press releases published, number of social media posts per day, etc. Outtakes measure consumers' sentiment towards your brand, following a PR campaign. It can be measured by characteristics/features associated with your brand. For instance, trustworthy, friendly, innovative, fun. Bounce rate would be considered an outtake metric. Objectives established, you’ll need PR measurement tools. Vital to accurately measuring your PR, you could use Google Analytics, Quick Search, Moz, AirPR. Keep reading, I’ll go into more detail later. While the same areas are monitored, we’re now spoilt for choice with regard to how we find data. Platforms like Twitter, Facebook, etc., offer built in analytics, and social listening tools - shameless Talkwalker plug - have made tracking PR campaigns a painless operation. There’s so much out there to analyze - we’re all publishing content, commenting on Twitter, Facebook, etc., writing reviews, sharing opinions online - this task can no longer be done manually. With the right analytics tool, it’s a yeti walking in the park. Talkwalker’s social listening tool tracks and analyzes data in real-time. Delivering results that PR experts can use to feed future marketing strategies and make informed business decisions. Let the tool do the hard work. Being able to find influencers within your audience that are shaping your company’s reputation, brings valuable insights to ensure targeted marketing campaigns. Most companies employ both traditional and digital PR - covering all the bases. Traditional PR still has a place in our digital world and includes event coordination, trade shows, speech making, event sponsorship, and press release distribution - newspapers, television, radio. It’s harder to be precise when measuring traditional PR - how many people read our magazine feature? - would be an estimate. Traditional PR judges success based on how a brand is portrayed in print - positively, negatively. Did our message come across clearly, how many times was our message mentioned? Traditional media monitoring brings a comprehensive view of reputation across television, newspapers and other traditional media. 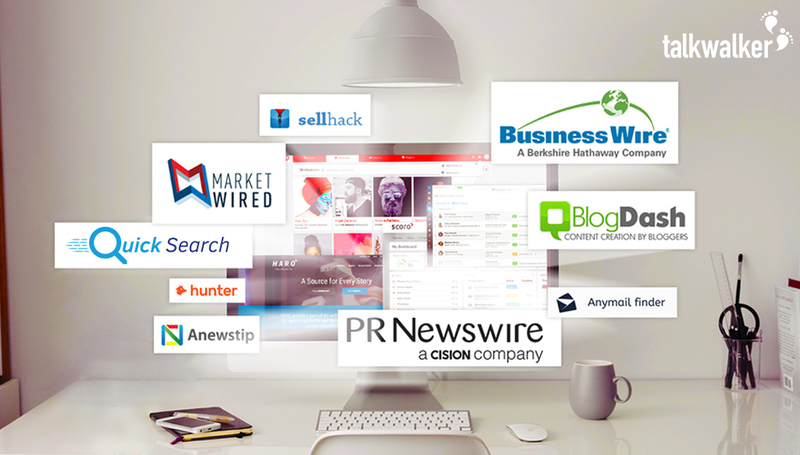 With our social listening tool, you can track media from these traditional publishers and from social media platforms. Most dedicated social lisening tools are able to crawl many different types of site, including forums, news sites, blogs, review sites, and more. Plus, the major social media networks, including Facebook, Twitter, Instagram, Google+, and YouTube. Similar to traditional, in that the idea is to build relationships, increase brand awareness, etc. Digital PR - unlike traditional - impacts SEO (search engine optimization) and link building strategies. These are measurable tactics that bring actual results and insights. These are tactics that cannot be ignored if you want to stand a chance of being found in search engine result pages. Yes, we’ve moved from print to online, traditional to digital - but both still work, both are still relevant. Here are the most important metrics, from traditional to digital. Use these and you’ll uncover the true impact of PR on your brand. What is the goal of your email marketing? Do you want to increase your list, bring in more leads, convert leads to customers? Set your goals and determine which metrics you should track. Measure the performance of your individual email campaigns, the health of your email database, and whether you’re reaching your goals. Leads are cold calls, but you think they may be interested because they’ve looked you up. Referrals have been told about you and they’ve expressed an interest. They know who you are, what you do, and could be waiting for you to contact them. You need to know where these potential prospects are coming from. Trackable links - a crucial part of good PR measurement - come into play. Use them to track the routes taken by consumers - guest blog, social media, press mentions, etc. Whatever your sales conversion rate, you must track them. What post turned them from a lead to someone spending money? For the full picture, track customers from lead to sales and identify which campaigns worked. It’s not always easy measuring the effect of your communications campaigns and corporate social responsibility (CSR) initiatives. Customer loyalty and boosted reputation, are hard evaluate, which makes it difficult to determine the value. But, it’s critical that you monitor mention impact. Are your brand messages being heard, being engaged with? 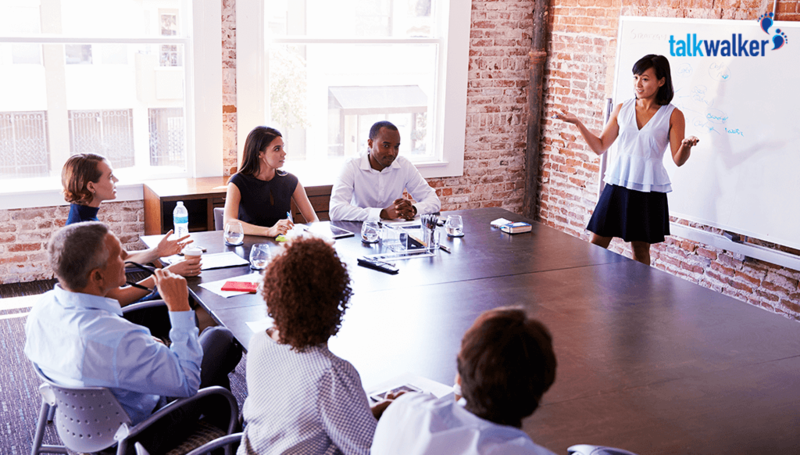 Finding these insights will allow you to connect the value of your activities to your company’s bottom line. Brand awareness - something that, in the past, was hard to track, but with analytics tools monitoring what people are saying about you brand, it’s no longer a problem. You need to find how many mentions and headline mentions there are, plus what’s being said about your brand in those mentions. Neutral comments, praiseworthy mentions, and the downright rude. Determine which of your PR campaigns brought about the mentions. You’ll then know which are working and the impact of your brand. When social media hit the streets, it turned marketing on its head. It’s the perfect platform to boost brand awareness, increase credibility, and humanize your brand. You can speak to new audiences, offer technical support, and engage with consumers. You need to measure your engagement - check that’s working, or not. Factors include likes, views, shares, comments. This data will show you when your followers are online and more likely to engage. What content is working, and what is leaving your audience cold. Examples of social share buttons. Every part of your website should be shareable - blog posts, videos, infographics. Monitor the results so you understand what’s resonating with your audience, and create more. Okay, so you know that someone mentioned you on Twitter, but was it a neutral, positive, or negative comment. 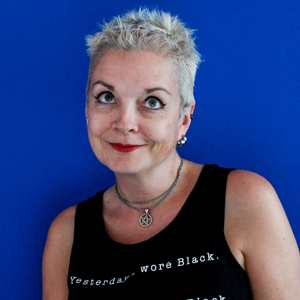 If you don’t identify these mentions and address them - a thank you, an offer to chat, or a big apology - you could bring about reputational damage to your brand, or miss an opportunity to increase brand loyalty. Let’s look at burgers. Specifically, the last 13 months of sentiment data related to McDonald’s, using Talkwalker’s Quick Search. McDonald’s seems to be suffering a run of negative sentiment. The most serious spike, on January 9, was caused by a YouTube video ridiculing the brand. You ruined my night, @McDonalds. Fix your damn ice cream machines. Okay, McDonald’s is huge, and it can take some flak. But good PR practices dictate that sentiment should be tracked, and addressed. Earned content - via a guest post on a site other than yours, etc. Ensure you measure the amount of website traffic you’re receiving before you start your PR campaign, and compare to after. Analyzing these spikes in traffic, will determine whether your campaign is working or not. Bounce rate is an outtake metric that reveals how your site visitors are reacting to your website. Bounce rate is the percentage of visitors to your website. If your average bounce rate is 85%, that means that 85% of your traffic leave after only looking at the page they arrived on. They’re either finding what they want super quickly and leaving, or not finding what they want quickly enough, and going elsewhere. Both scenarios need improvement. Test different aspects to encourage visitors to remain on your site and explore other pages - updated content, A/B test CTAs, improve navigation, etc. Share of voice measures how much of the conversation from consumers is owned by your brand, compared with your competitors. It’s important to track your brand’s SOV on all platforms where consumers can hear about your brand - social media, comments on your blog, etc. Tracking your SOV means you can monitor brand awareness and audience engagement. Using our analytics listening tool, I’ve looked at three car brands, for a one month period - BMW, Chevrolet, and Tesla. BMW dominates share of voice. When you have your results, ask questions. What caused the SOV spike, early August, for Tesla? Is it a publication you could publish in? An event you should have attended? Your audience is on Facebook - are you there? Blog post announcing Elon Musk’s Tesla Solar Roof Is Here. Monitor yours and those of your competitors. DA demonstrates how your website compares. Ranked on a scale of 1 to 100 - 100 being a winning site - it’s a ranking factor trusted by Google. The higher the authority of your site, the higher your page ranking in SERPs. Everyone wants their website on page one of Google. This coveted space can bring more leads to your website, build trust with consumers, increase traffic, bring in more money. Page one is a crucial PR objective and you should check your ranking regularly. Track your keywords and where they rank, and look at those of your competitors. Adjust your SEO strategy to improve ranking - repurpose posts, update website content, create new landing pages to target specific keywords. 3rd place is a backlink that references your brand in a good way. But, there’s no link for people to click to your website. 2nd place is a backlink that mentions your brand, and includes a link to your website. The winner is a backlink that links to your site AND mentions your brand in a positive way. Bonus - it includes one of your keywords. They’re all good to have, but the winning backlink brings more value to your website. Track your backlinks, and determine the good, the bad, and the ugly. Cross or internal links between pages on your website give visitors all they’re looking for, on one site (include your keywords in your link text). Keep your visitors happy, entertained, informed, and they won’t bounce. When a search engine spider crawls your site, it will travel around the navigational structure - using internal linking. If it gets lost, this could damage your page ranking. Google does not like losing its way when navigating your site. If your visitors get lost, they’ll bounce away. Public relations is changing year on year, and having the right tools is essential if you want to be able to track and analyze your PR campaigns. There are great PR measurement tools on the market that’ll make your life easier. This free tool from Moz checks the domain authority of a website. Moz.com has a domain authority of 92.23 - impressive. Google Analytics is a metrics program that tracks and reports on your website - unique visitors, traffic source, bounce rate, conversions, and more. It’s a free tool, and considering the data you can pull, it’s a must for your PR toolbox. Talkwalker Alerts is easy and free. Beat that! Use this tool to avert a potential crisis and protect your online reputation. It gives you email updates of the latest mentions on the Web, according to the search terms you’ve set up. Seriously, it’s way better than Google Alerts. Give it a spin. This tool is so cool. It shows how visitors behave when navigating your website. A heatmap demonstrates stumbling points on pages increasing bounce rates, areas of content that’s holding attention, and where they’re clicking and scrolling. You can make mouse tracking movies. CRAZY! For an instant overview of your brand online, Quick Search is the business. It’s a search engine that provides extensive coverage of social networks, news sites blogs, and forums. Enter multiple brands and compare sentiment with 90% accuracy - yep, spy on your competitors - engagement, audience demographics, mentions, and more. Planning a winning dgital marketing strategy is hard work. You have to set goals and objectives with the perfect balance of ambition and achievability for your team. Plan where to spend your money to maximize ROI, and find opportunities to improve. This free eBook will take you step by step through creating a winning digital marketing strategy. Download now and learn how to plan, execute, measure, and analyze your campaigns. Maximize the impact of your brand and increase the productivity of your team. With the introduction of tools like Talkwalker, along with the Barcelona Principles, PR measurement is no longer the daunting task it used to be. Using a combination of Talkwalker’s social listening tool and the recommended PR measurement tools, it’s possible to monitor and measure your brand’s reputation. Identifying the success or failure of your campaigns will bring you insights that’ll highlight areas for improvement - to achieve the success you’re looking for. Quick, sign up for a free demo. You'll never have to worry about measuring your PR efforts again. Enjoy! 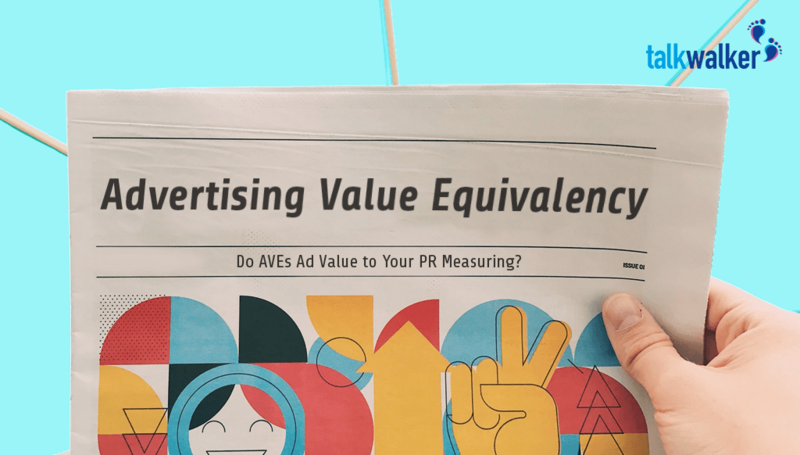 Advertising value equivalency: Do AVEs ad value to your PR measuring?